I took on this project somewhat by accident almost two years ago when the non-profit I was working for needed a better way to access legislator information. I’m so proud that CapitolBuddy became a useful tool to create the change people are working for at their state capitols. Now, I’ve reached a point where the things I learned from CapitolBuddy are taking me to new ventures. It’s been a hard decision to stop working on CapitolBuddy. But the challenges have become too much for this one person to continue tackling; and the interest has been too small to bring on more team members. If you still need something to replace the hole that CapitolBuddy has left in your workflow. I can recommend OpenStates, a free app from Sunlight Foundation. TrackBill is another good one, that allows you to track legislation. Better advocacy for the underdog organizations is still something I’m passionate about. I hope to someday return to working on another project in that vein. You can continue to follow my work on my personal blog and on twitter. Thanks for your interest. You may have updated CapitolBuddy to the latest version on Friday. If so, getting news on legislators at the capitol just got easier — I’m happy to introduce Public Notes. Think of it as a place to share your good news and bad news on legislators, hearings, and anything going on at the capitol. News stories are always a good thing to share, maybe news on an upcoming vote, maybe congratulate a legislator on an award by letting everyone on CapitolBuddy know. The options are open for how you use CapitolBuddy. The old menu didn’t really put the emphasis on the right features. I saw users struggling to create teams, usually they didn’t even know it was a thing. Now it’s right in the main menu and the screen includes some instructions to get you going. The whole thing could probably use a tutorial still, but we’ll get there, when necessary. Thanks to the Sunlight Foundation API and Google Maps API, it’s very easy to look up the state legislators for an address. So District look-up has also been added to the main menu — that’s a feature people are often looking for. No more PDF maps on your iPhone. The new map section is a legitimate apple map, with overlays of each district. You can search to find a specific one and tap the pin callouts to be taken to a legislator’s profile. The very first time it loads, the maps will take a while because the app has to download the boundaries for every district. But after that first load, you’ll have quick and easy access to interactive district maps. For my second observation day at the Capitol this week, I tried to talk to a few more people about the app and their work. But mostly I just watched people. I think one of the most interesting things to note is which groups were there. Today’s focus seemed to be a children and developmental disabilities. I saw two press conferences, but there may have been more. One was on developmental disabilities funding. They had a press conference just outside the entrance to the building with several legislators and candidates present, including Sen. DiPalma (D-12) and Rep. Hull (D-6) (Yes, I did use CapitolBuddy to store notes on those two — I even made them public, so everyone can see). 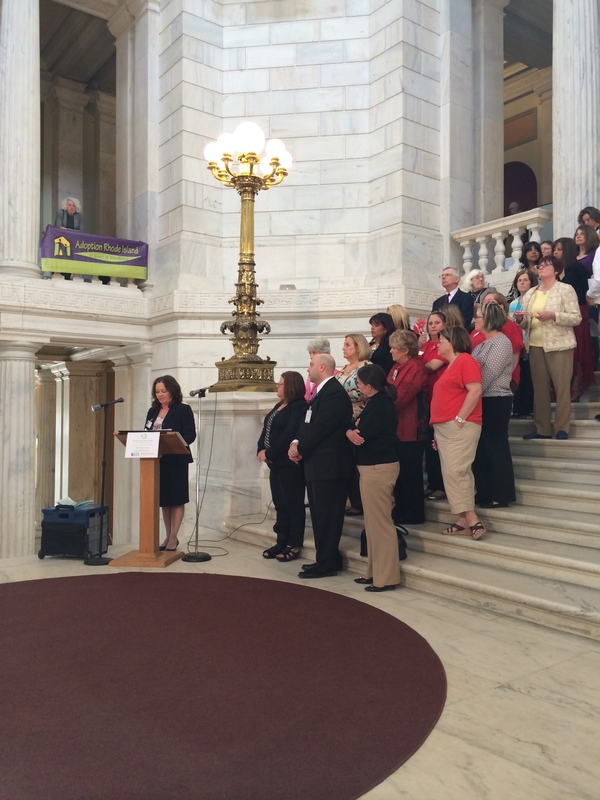 I believe the other press event had to do with Home Care services. And some children’s groups like RIght Now for Kids had booths set up. The most exciting piece of news is that CapitolBuddy will be getting a place in the State House Library’s info stand. Ask and ye shall receive. I did watch the lobbyists mingle outside the door after the gavel rang to start the floor meetings, as I has planned. It’s not much to gaze upon — but it would be a good time to tap a shoulder and do a user interaction survey. So that’s my goal for next week, get some feedback and watch people interact with the app. 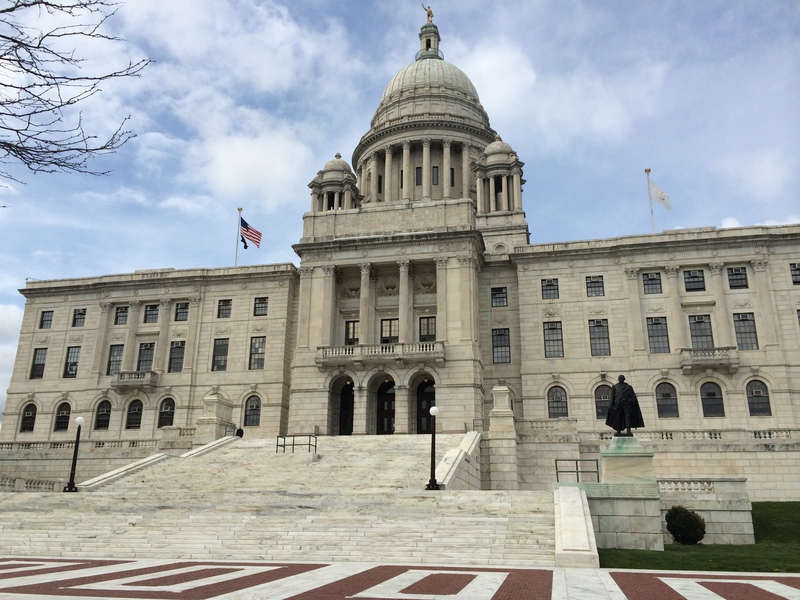 I spent the day at the Rhode Island State House. My goals were to observe the groups who were there doing advocacy and what kinds of things they were doing, how they moved about the capitol, and what legislators they were focusing on. As I learned in my prior visit to the building, things are generally very busy in the hour before assembly is called to order. I saw the following groups working hard on their causes, but I’m sure I missed some groups that perhaps weren’t being as boisterous — or that maybe didn’t bring a big crowd that day. 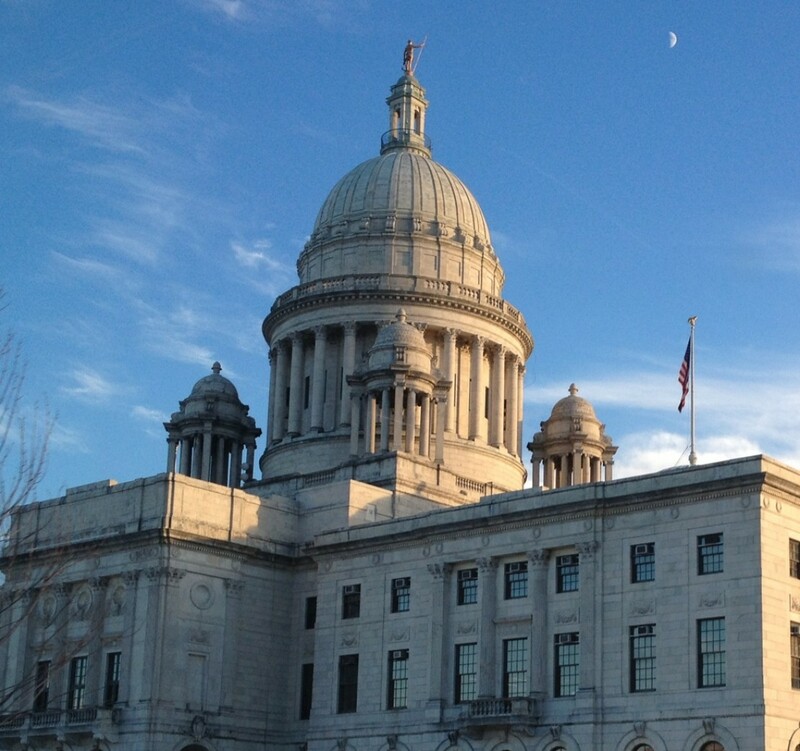 Homeless Connect is there every Wednesday from RI Coalition for the Homeless. I love this service and the whole concept. They use the state house as a soup kitchen of sorts and provide bag lunches to the homeless, great way to bring homelessness to the front of legislators’ minds. 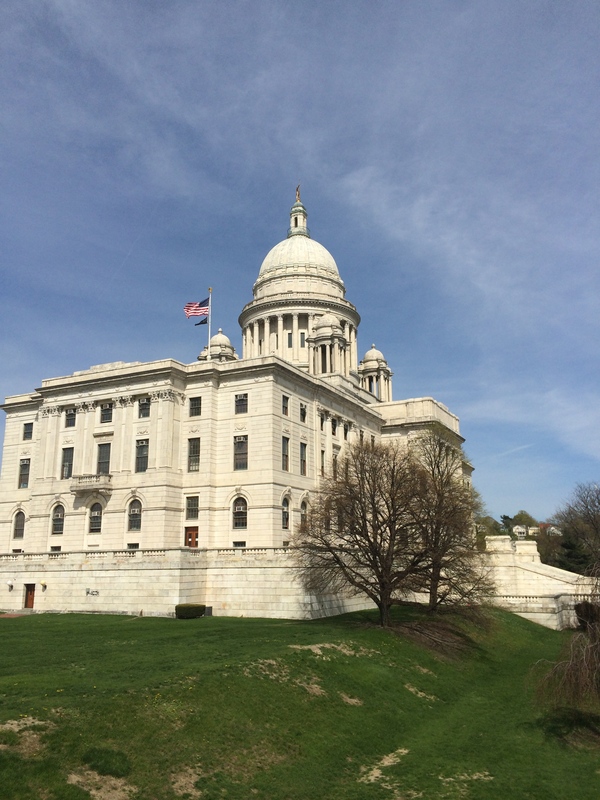 RI Association of Realtors had a press conference about several pieces of legislation, ranging from clean energy to independent contractor regulations. A shame they didn’t deal with the acoustics better (it’s always awful in the rotunda). I’ve seen groups have better luck with events that take place in a hearing room. Then I had a brief twitter-conversation with them afterwards, in which introduced CapitolBuddy. American Heart Association was actually the first group I saw when I walked in. It looked like they were having a lobby day with several people wearing AHA buttons and carrying their folders of information. I really wanted to see what they included in the folders, because I bet ULobby could replace it! Rhode Island State Nurses Association must have been there too, I saw several people with RN badges walking around, and they were honored during the session by having the second week in May being devoted to them. Moving on to the actual legislating, I chose to watch the proceedings in the House from the balcony, but I may learn more about the advocates and lobbyists if I went to the main floor and observed outside the chamber door — I hear that they group up over there during the floor meeting. So I shall focus on that when I head over to the Capitol at 3pm, today. I’ll post my notes from that adventure tomorrow. Looking for a bright yellow t-shirt to that screams, I’m politically and technologically savvy? Look no further. The CapitolBuddy tee shirt from TeeSpring is only $15. And we’ll also hook up your favorite advocacy group with our tools if you tweet us @CapitolBuddy.